Develop a Social Media & Digitization Strategy and formulate relevant policies and processes, both at an organization as well as employee level to make engagement and communications more meaningful. Benchmark and research top global companies in terms of social media practices and processes. Includes study for social media policy implementation too in those organizations. Study and report about organizations having substantial social media presence & digital process footprint. Identify digital and next-gen communication platforms to engage more effectively with our stakeholders. Define and present a realistic action plan and proposal. Deliver Social Media Guideline (Do’s and Don’ts) for employees at RIL. Define the scope, risk and mitigation roadmap of social media action plan for the short and long-term. Identify priorities and present a roadmap to increase presence of RIL on social media landscape. Identify touch points with various HR processes and leverage the social media tools to engage in the people domain, includes talent. Explore potential of drawing meaningful analytics and explore full potential of digitizing HR processes. Social Media Measurement – data for meaningfully incorporating in our businesses. Monitor effective benchmarks (best practices) for measuring the impact of Social Media campaigns. Analyze, review, and report on effectiveness of campaigns in an effort to maximize results. Compile report for management showing results (ROI). Design, create and manage promotions and Social ad campaigns. Plan for Social media training. 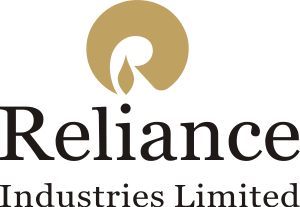 0 on: "Reliance Industries hiring for Social Media Intern"